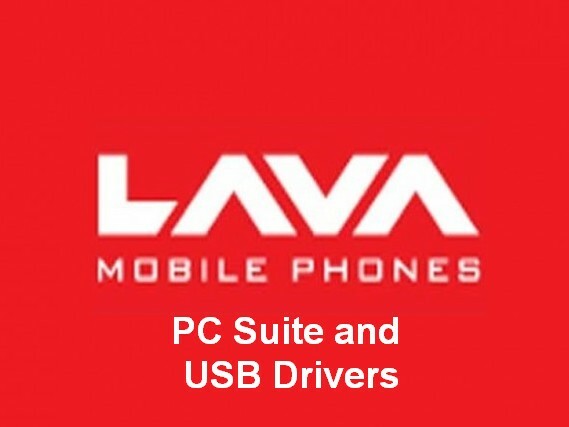 To sync Lava mobile data with PC, you need to Download Lava PC suite and Lava mobile USB drivers for windows PC. With Lava PC suite you can easily connect your Lava mobile to PC and then you can manage your phone from computer. Send files, contacts, images, videos, songs etc. You can sync and backup your Lava mobile data to PC. You can run internet from your phone to PC. There are lots of advantage of Lava PC suite. Here i am providing Lava PC suite free download link with Lava USB drivers. Lava Mobile was lauched few years back in Indian market. Though it has very less share of mobile market. But there are lots of models of Lava Mobile available. So for an user it become very hard to find the right version of drivers and PC suite. So here i am providing Lava Mobile PC Suite with USB drivers. As such Lava company has not released any official PC suite for its smartphone. But as all the Lava smartphone are Android based. So you can use any Android Universal PC suite. I am recommending some of the PC suite for Android mobile. You can then easily connect and manage your phone from PC via USB or Wifi. First i will recommend you to download Lava mobile USB drivers. So its become very easy to connect Lava mobile to PC. You can Download Lava Mobile USB drivers for free from here. After downloading extract it and install it in your PC. Now try to connect your Lava Mobile to computer, your device will easily connect. As i already told LAVA does not have any official PC suite. But here i am providing some apps, you can download it in your mobile and then make your browser as a PC suite. I found it to be the best app to manage your Android device from Windows PC, or MAC. You can easily connect your PC with your Android phone through wifi. Then you can do lot of thing without even touching your mobile. You can send and read SMS, Whatsapp, Wechat and Line from your PC. Transfer or share files between computer and mobile. Get notifications from allowed app into computer. Air Mirror allow you to use any app from computer but for that you required to root your device. So there are lots of other thing that you can do with Airdroid, so if you need to perform all this task. Then simply use this application. Xender : This is one of the best app to share or transfer file between Android mobile and also between Android and computer. You can transfer any type of file including documents, music, picture, video and apps. Its work with Windows PC, MAC and Chromebook. So now transfer any file in seconds with your wifi, no internet connection needed. And even you do not need to install any software into your pc. Use any browser you have. So these are the two apps that you can use as an PC suite for Lava mobile. If you need any other thing beyond this. Then just comment below , we will happy to help you.